Over the last decade, there has been a massive level of consolidation with hundreds of hospitals and thousands of physician practices being acquired every year. While more mergers and acquisitions will still happen, this stunning and fundamental restructuring of healthcare delivery has taken place and there is no turning back. This is likely the single biggest shift relative to how healthcare is structured in this country that will take place during our lifetime, and it barely gets mentioned. Spectrum Health has a $100 million venture fund. Providence St. Joseph's Health announced a second $150 million venture capital and growth equity fund. Mayo Clinic Ventures has returned over $700 million to their organization. Jefferson Health has a 120-person innovation team focused on digital innovation and the consumer experience, partnering with companies to build solutions. My consumer experience has been that I pay more each year for less healthcare coverage. I've paid out of pocket for the few health services I've consumed. 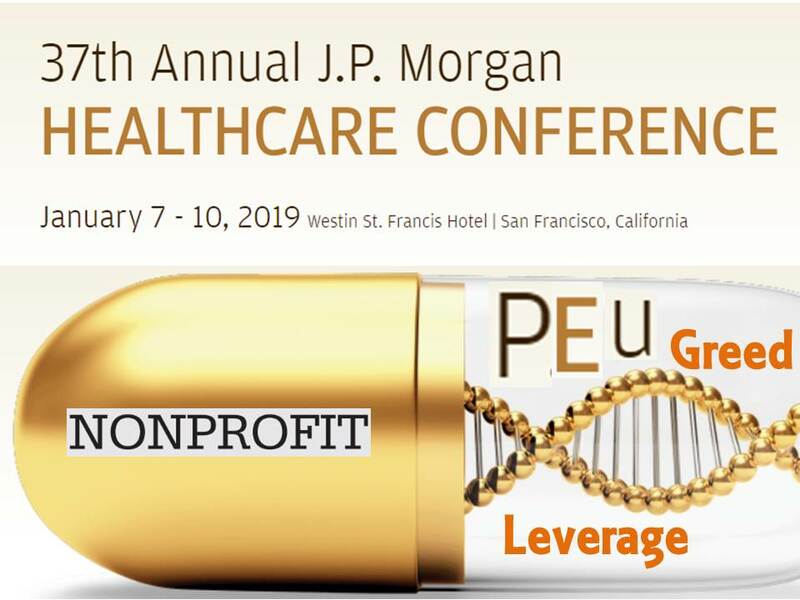 Friends work for large healthcare companies, nonprofit and for-profit, and many feel abandoned by executives misplaced priorities. Bad managers only know how to act with data and often do so without an understanding of variation. Thus they made decisions that waste time, money and harm people. ... the lifeline for every health and healthcare hub will be actionable data. Applied analytics is a boring term that is actually gaining traction and starting to dislodge buzzwords like big data, machine learning and artificial intelligence relative to its importance to healthcare providers. What happens when healthcare leaders are unable to tell the difference between correlation and causation? How much harm will they cause? Employees did not show up in the future of healthcare. I predict healthcare will get much worse under these PEU management practices. Nonprofit healthcare systems have downed the language/strategies of the greed and leverage boys. This is most concerning. A dark future awaits. Update 3-27-19: Two large government health insurers, Centene and WellCare, announced a deal today. An activist with ALS offered "... this is how they do business—deny, deny, delay, and then people give up." So much for platforms and big data. 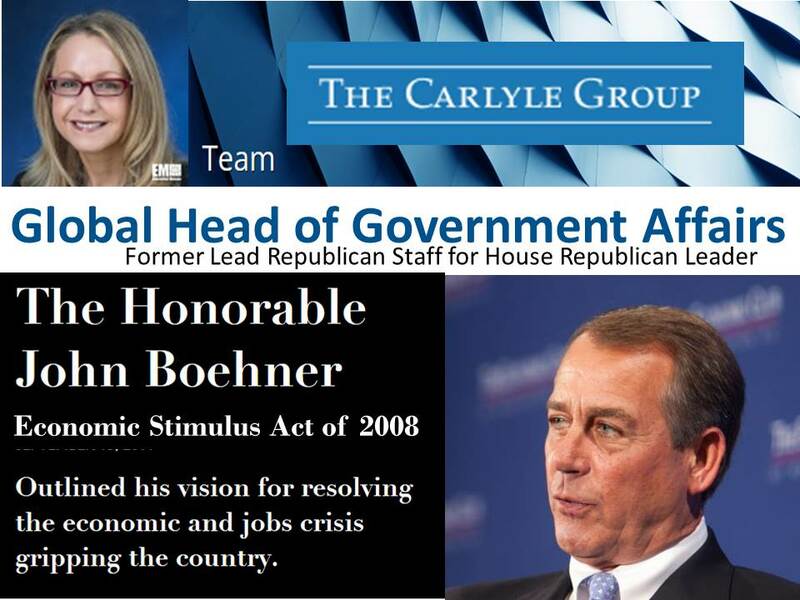 Dion was Policy Advisor and Counsel to Republican House Leader John Boehner from 2007-2008. 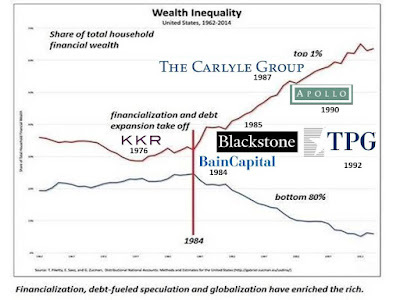 That's the period of the Financial Crisis that produced TARP and multiple government programs that enriched Carlyle (BankUnited, Boston Private Financial). A similar era as the Fall 2008 Financial Crisis may be nearing. At risk is corporate junk debt issued by the likes of Carlyle and its PEU brethren. I'm sure GHGA Dion has many willing listeners on Capital Hill. America's Red and Blue political teams love PEU. Add that Fed Chair Jerome Powell and Vice Chair Randall Quarles have Carlyle Group pedigrees. Dion, Congress and the Fed to the PEU rescue? 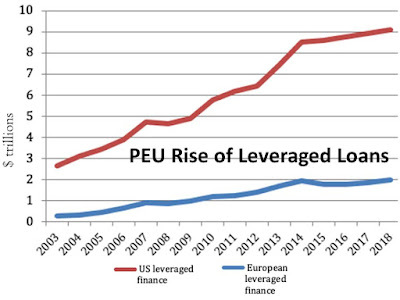 Private equity underwriters (PEU) are behind the rise of financialization, debt-fueled speculation and globalization that has enriched the rich since 1984. Bain Capital was established that very year. Pete Peterson and Stephen Schwarzman started Blackstone in 1985. 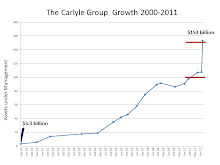 The Carlyle Group began in 1987. Leon Black founded Apollo in 1990 while David Bonderman started TPG in 1992. Fox News contributor Tucker Carlson spoke on America's mercenary leaders who don't bother to understand our problems. Romney spent the bulk of his business career at a firm called Bain Capital. 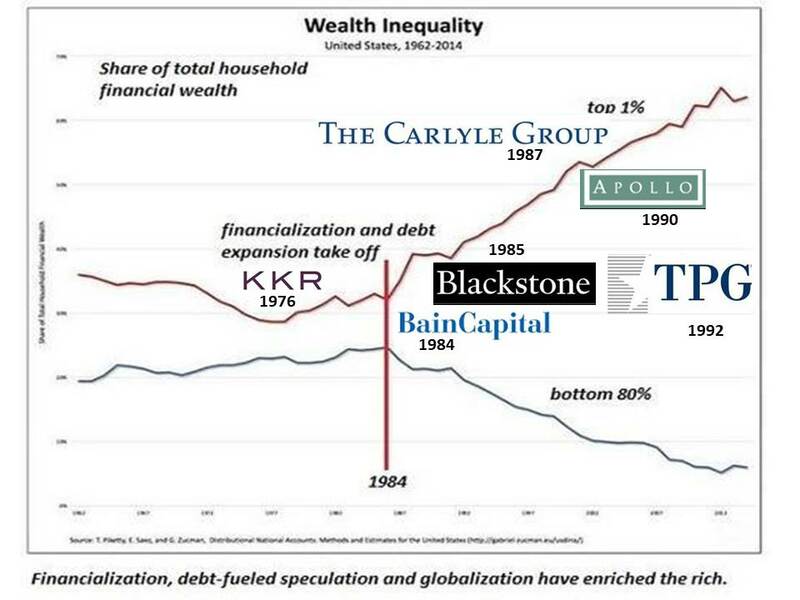 Bain Capital all but invented what is now a familiar business strategy: take over an existing company for a short period of time, cut costs by firing employees, run up the debt, extract the wealth, and move on, sometimes leaving retirees without their earned pensions. Romney became fantastically rich doing this. Meanwhile, a remarkable number of those companies are now bankrupt or extinct. 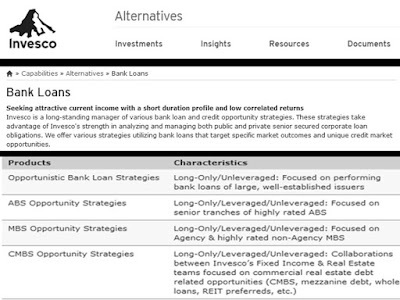 This is the private equity model. Our ruling class sees nothing wrong with it. It’s how they run the country. Both of America"s political teams cater to the PEU class. Tucker's Red Team has long served the greed and leverage boys. The Blue Team began its PEU lean-in under President Bill Clinton. For decades both parties grovelled to the Billionaire boys club which recently met in Davos, Switzerland. PEUs paid ex-U.S. Presidents hefty sums for an hour long talk at their annual accredited investor meeting. Publicly traded PEU unit holders were not invited. “You’re talking about retail investors coming into the asset class, and that could eventually occur; everybody’s working on the formula for it." The article called it "democratizing private equity." That statement is patently laughable. 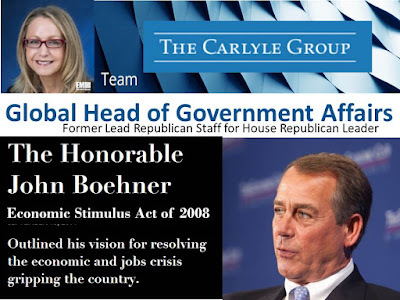 It's made even more so by PEUs not giving unitholders a vote, as Carlyle did after it went public.. The PEU model infected our country. It will take strong medicine to drive that toxin away. Neither party is able to address toxic PEUs. CNBC interviewed Carlyle Group cofounder David Rubenstein from the World Economic Forum meeting in Davos, Switzerland. Reporter Becky Quick referred to Rubenstein as "deeply sourced in Washington, D.C." Later she remarked how comfortable Fed Chair Powell felt with Rubenstein, but failed to mention Powell once worked for The Carlyle Group. "Remember the famous Dubai Ports case?" The annual meeting of the billionaire boys club is over. The world still aims to serve them. Slap your bootstraps on and enjoy being ridden. It's the PEU way. Private equity underwriters (PEU) retain preferred carried interest taxation twelve years after Congress' first attempt at removal. No one talks about raising taxes on the rich at Davos because the rich are Davos. However, they do care about the common person being able to invest in private equity. ,,, the Khashoggi affair had been relegated to the past. Saudi officials highlighted recent deals as proof, including infrastructure projects with international companies. They also pointed to $7.5bn of new government debt that was raised this month with the help of banks including JPMorgan Chase, HSBC, Citigroup and BNP Paribas. 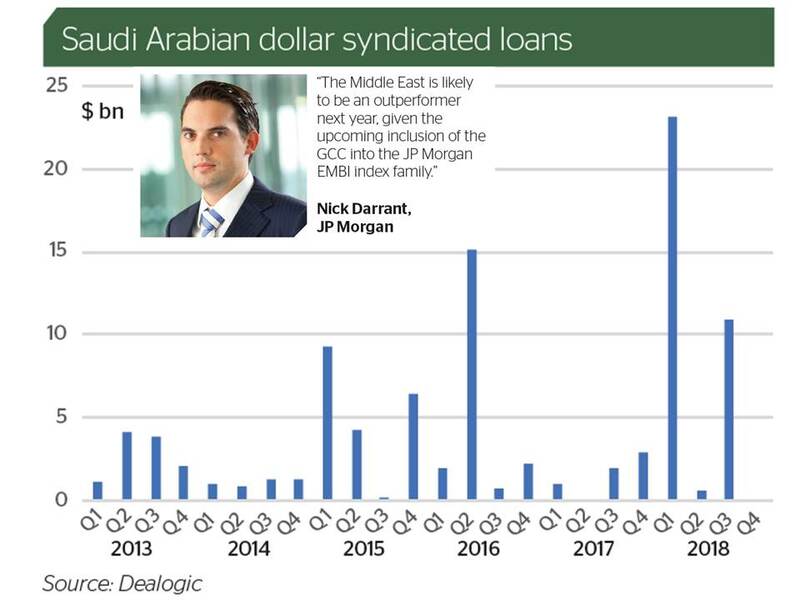 JP Morgan targeted Saudi Arabia for business before the kingdom exterminated journalist Jamal Khashoggi. Others Davos attendees weren't so sure. Some senior western financiers said re-engaging with the kingdom so soon after Khashoggi’s grisly killing would be too controversial. Several people attending Davos this week told the FT that the country remained in the “penalty box” and urged Riyadh to offer bolder gestures of reassurance. Last year Crown Prince Mohammed bin Salman was a star attraction at the Billionaire Boys Club which includes purchased politicians. The Crown Prince released his Uncle from prison last year as Davos neared its close and the Saudis sponsored a luncheon touting private investment in the Kingdom. Imprisoning Prince Alaweed bin Talal and killing journalist Jamal Khashoggi, what won't the Davos man forgive on behalf of their billionaire brethren? Deals have to be done. From Davos CNBC's Andrew Ross Sorkin interviewed U.S. Commerce Chief Wilbur Ross. Sorkin asked about unpaid federal workers and their worsening financial plight. Ross referred to their situation as "not a good excuse why there should be a liquidity crisis." Liquidity crisis is the language of the greed and leverage boys who gather annually in Davos and infect the highest levels of Western government (like PEU Wilbur Ross). Contrast Ross with George Bailey and his newlywed wife when a bank run hit Beford Falls in It's a Wonderful Life. Their response to scared and hurting customers, "What do you need?" Leaders would ask that question and loan working employees the money needed to ride out a management created crisis. 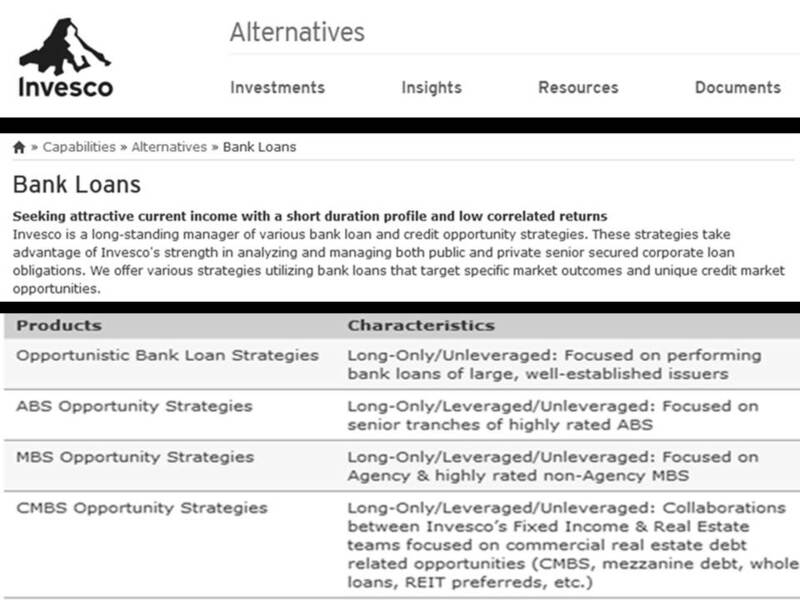 Wilbur Ross' Invesco has huge money to invest in bank loans. One might consider 800,000 federal employees needing credit a unique market opportunity. Commerce Secretary Ross did not steer credit seeking employees to Invesco but to public sector credit unions. A WEF website article quoted Ross on bank complexity in 2012. I think that the real purpose and the real need that we have in this country for banks is to make loans particularly to small business and to individuals. I think that’s the hard part to fill. ANDREW ROSS SORKIN: Mr. Secretary, but they're – but many of these people need -- Mr. Secretary, many of these workers clearly need the paycheck on a week-by-week basis. They're not, frankly, in my shoes, nor in yours. Nor in yours. ANDREW ROSS SORKIN: So the question is, is this battle and fight at this point in the ball game worth it? Meaning, is the debate over everything else that the administration is fighting for worth more than the risk that's being taken on at the moment and the affect it's having on families of federal workers? ANDREW ROSS SORKIN: So it should be put on the private sector? The private sector needs to step up where the public sector can't? WILBUR ROSS: No. What I'm saying is there have been ads run by a number of the public-sector credit unions, which are member organizations of the people who work in the departments. Those have announced very, very low interest rate loans to bridge people over the gap. That's the kind of cooperation between financial community and employee that really is warranted. It's a totally safe loan because at the end of the day it's 100% government guarantee. Ross offered his version of TARP: Too Arrogant for Real People on CNBC. Workers are but serfs today and their masters are riding them hard.